I'm pretty sure we've all had our fair share of bad experiences with body odor - On a sardine packed train during peak hour or while working out at the gym. We all want to smell good but shower gel and perfume alone is not good enough simply because we all have armpits and we all sweat. Although sweat itself is odorless, the bacteria that resides on the skin breaks down sweat into acids that causes the unpleasant stench. This is when deodorant comes in handy - It is anti-antiperspirant and that prevents the armpits from excessive sweating! 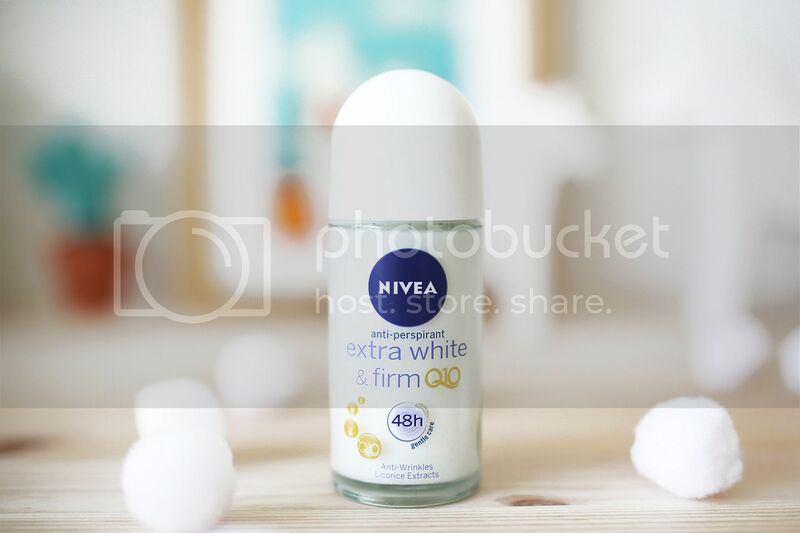 The one I'm using today is NIVEA's newest product - NIVEA Extra White & Firm Q10 Deodorant. 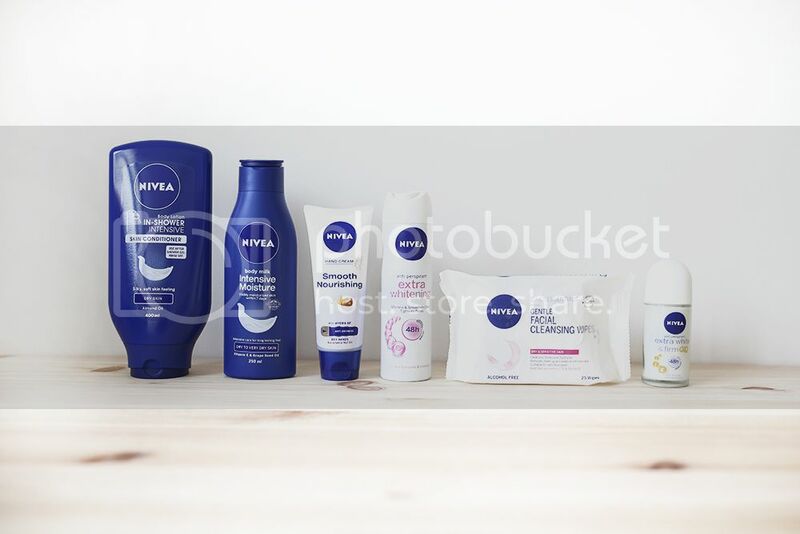 Just a brief background about NIVEA - NIVEA is a renown German brand that focuses a lot on skincare with more than 100 years of history and has been the number 1 deodorant brand in Singapore for 4 years. They are also the first to launch the invisible range that leaves zero stains on your clothes. As you can see from my personal stash (Only the in-shower conditioner and deodorant is sponsored, the rest are what I've been using) I am quite a fan girl. Besides its awesome scent, the Extra White & Firm Q10 deodorant is the first with Co-enzyme Q10 that helps firm skin. It also contains Licorice extract that has whitening effects. 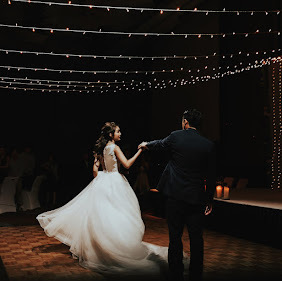 Shaving and plucking causes a dark stain on the underarms and although I don't face this problem (Switched to IPL a couple of years ago) I read many reviews online that mentioned how great NIVEA's whitening deodorant worked for them! 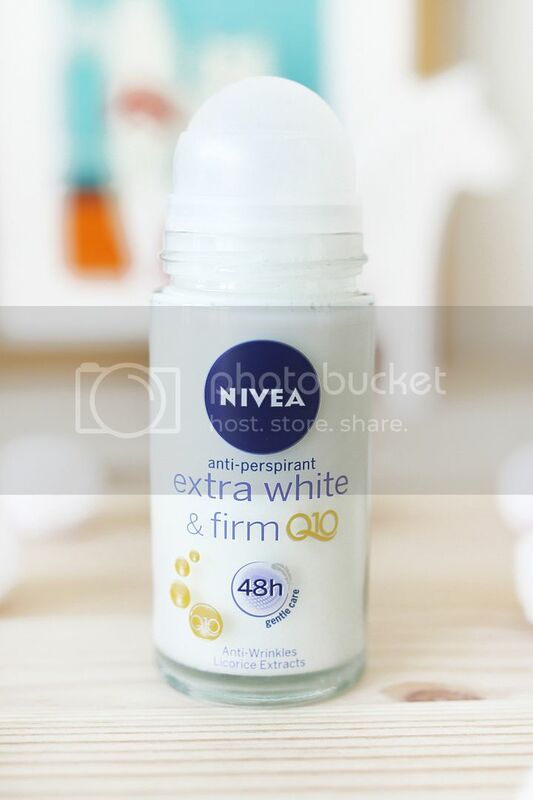 With the NIVEA Extra White & Firm Q10 Deodorant only retailing at $4.90, we can all afford to smell good! 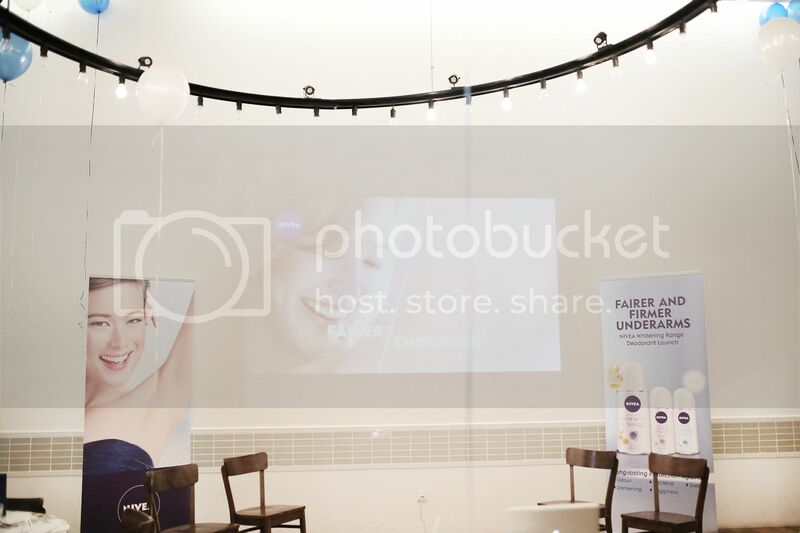 Some pictures from the NIVEA Extra White & Firm Q10 Deodorant luncheon before I log off! 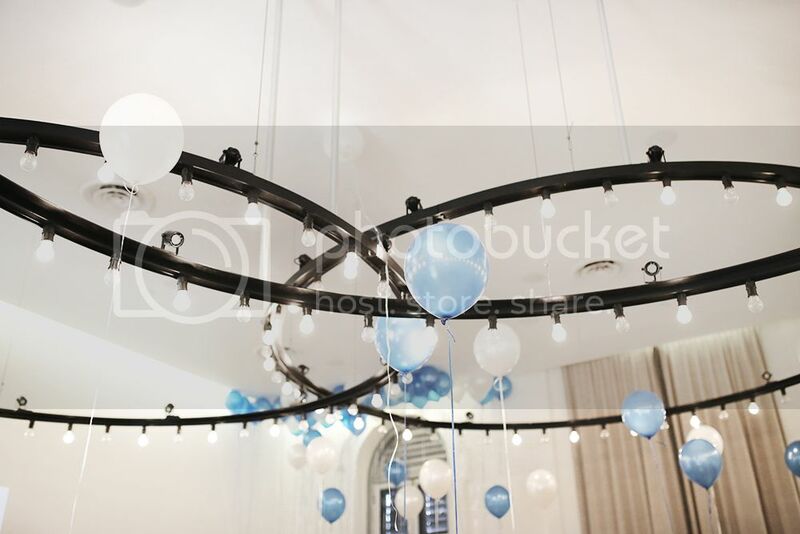 Love the pretty blue & white set-up that signifies the NIVEA brand! 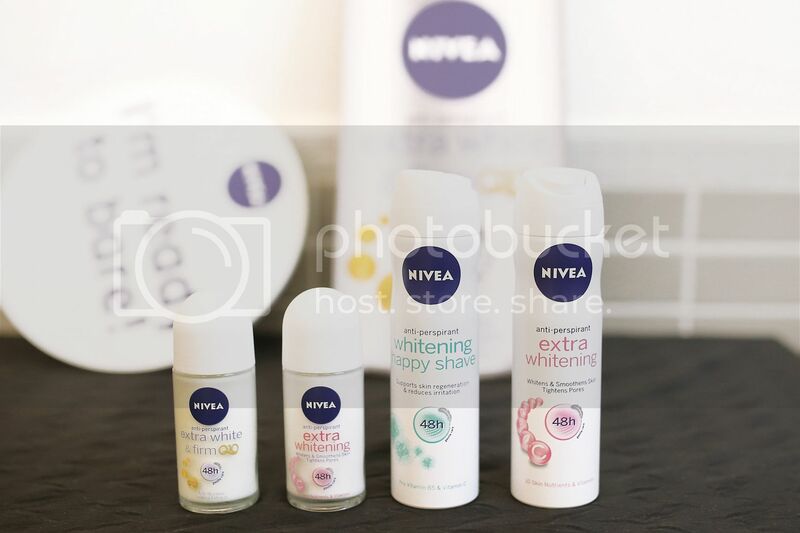 As mentioned earlier, Q10 is one of the key ingredients in the NIVEA Extra White & Firm Q10 Deodorant and that day the NIVEA team prepared a little "lucky draw" for all of us. 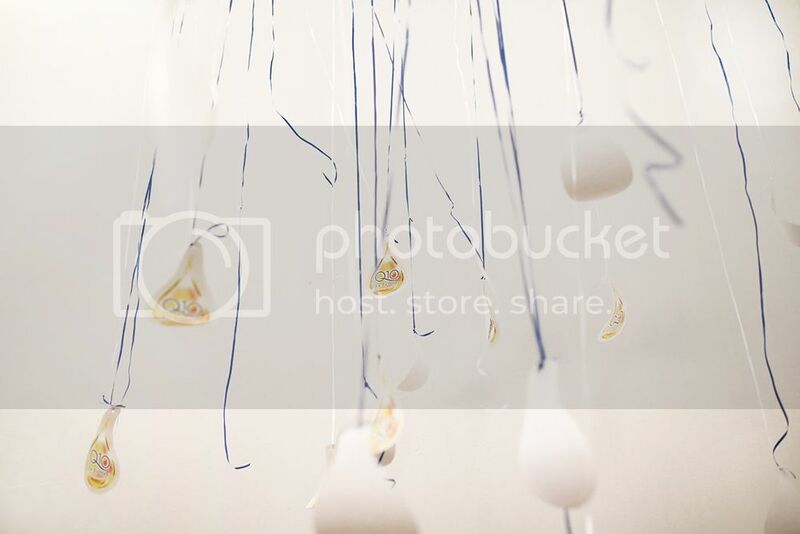 Under these tags there were 2 x $100 Pandora vouchers that lucky Mongchin & Valerie won! & I'd like to think we fared pretty well? Getting Brave! It was a great afternoon of friends, food & fun.